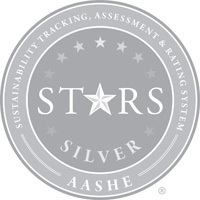 The University of Notre Dame has received a STARS Silver Rating from the Association for the Advancement of Sustainability in Higher Education (AASHE). STARS, the Sustainability Tracking, Assessment and Rating System, is a new program that measures and encourages sustainability in all aspects of higher education. It was an arresting and evocative phrase. It could mean that the University’s president-elect was an adherent of a strain of Aristotelian philosophy, or that he liked to travel, or that he revered a sort of intellectual cosmopolitanism, or it could mean all of those things at once. A new awareness campaign aimed at improving aerial lift safety was launched today by the University of Notre Dame in conjunction with several public and private agencies and organizations to help ensure that accidents such as the one that took the life of Notre Dame student videographer Declan Sullivan do not happen again. 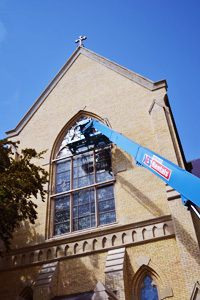 Crews work to prepare campus as the start of the fall semester draws near. First year students move into their dormitories on August 19 with the rest of campus returning August 21. 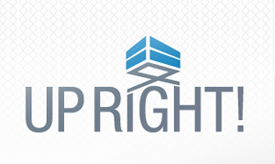 Classes begin August 23. Notre Dame honored as "Great College to Work For"
For the third consecutive year, the University of Notre Dame has received honor roll distinctions as one of the top 10 higher education workplaces in the country in the Chronicle of Higher Education’s annual “Great Colleges to Work For” survey. 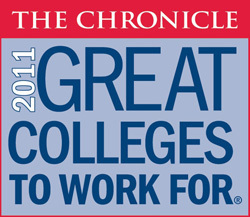 The Great Colleges program, now in its fourth year, is the premier recognition program in higher education. The program is designed to recognize institutions that are great places to work and to compile benchmarking data about industry trends, as well as to recognize institutions for best practices and policies. The University has participated in the program for three years, and has taken top honors each year. The University of Notre Dame has become the first university without the powerful gift-giving attraction of a medical school to surpass $2 billion in a traditional seven-year capital campaign. 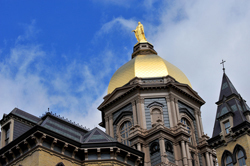 Titled the “Spirit of Notre Dame,” the campaign raised $2.014 billion in the seven-year span that ended June 30 – 134 percent of the $1.5 billion goal. The fund-raising effort also was the largest in the history of Catholic higher education, surpassing the $1.061 billion raised in the University’s “Generations” campaign that ended in December 2000. The University of Notre Dame tops the list of colleges that have become “influencers and brainstormers” online through the strategic use of Facebook, Twitter and You Tube, USA Today announced yesterday in its list of top 20 colleges making the best use of social media. 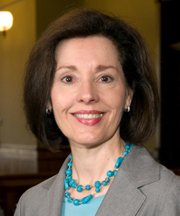 Carolyn Y. 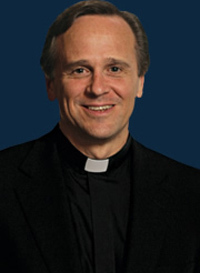 Woo, Martin J. Gillen Dean of the University of Notre Dame’s Mendoza College of Business, will leave the University to serve as president and CEO of Catholic Relief Services (CRS), effective Jan. 1, 2012. Woo assumed the deanship in 1997 of the Mendoza College, which currently is ranked No. 1 for its undergraduate business program by Bloomberg Businessweek for the second consecutive year. 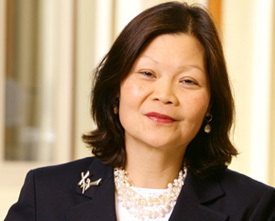 During her tenure, the college also has received top rankings for its MBA, EMBA and Master of Science in Accountancy programs, as well as business ethics and accountancy. Janet M. Botz has announced she will be leaving her position as vice president for the Office of Public Affairs and Communications (OPAC) at the University of Notre Dame at the end of July as the office is consolidated with University Relations. 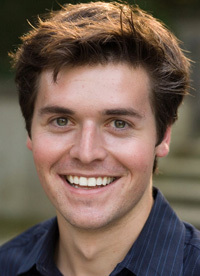 Botz joined Notre Dame in November 2008 and has led a number of important initiatives. Under her leadership, the University refocused its efforts on government and community relations with increased emphasis on local, state and federal government relations as well as paying more attention to improving community relationships. She is actively involved herself as a member of the executive committee and board of the St. Joseph County Chamber of Commerce and also as a board member of WNIT Public Television, as well as a supporter of many other local organizations. Gregory P. Crawford, dean of the College of Science at the University of Notre Dame, and his wife, Renate, will for the second consecutive year set out on a remarkable bicycle ride this summer to support research seeking treatments and a cure for Niemann-Pick Type C (NPC), a rare and deadly neurodegenerative disease that primarily strikes children before or during adolescence. The Crawfords will depart June 13 on “Road to Discovery,” a 2,200-mile ride from Boston to Dallas, with stops to visit NPC researchers and families, as well as Notre Dame alumni clubs, along the way. An assembly of two Congregation of Holy Cross provinces, the Indiana Province of Priests and Brothers and the Eastern Province of Priests and Brothers, will begin on June 13 at the University of Notre Dame. The event marks the first time the two provinces have come together for an assembly as they prepare to merge the Eastern Province into the Indiana Province on July 1. 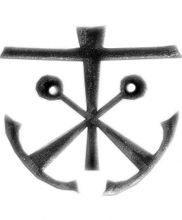 The resulting province will be known as the United States Province of Priests and Brothers of the Congregation of Holy Cross. 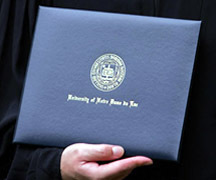 Urging the class of 2011 to continue the University of Notre Dame’s rich tradition and strong commitment to public service, United States Secretary of Defense Robert Gates reminded graduating seniors that the nation’s problems require the active involvement of our best and most honest citizens. Gates was the principal speaker and recipient of an honorary doctor of laws degree at Notre Dame’s 166th University Commencement Ceremony held Sunday (May 22) in Notre Dame Stadium. The University of Notre Dame has been selected as a finalist by the President’s Higher Education Community Service Honor Roll as one of six institutions in higher education with an outstanding commitment to general community service. The Honor Roll is released annually by the Corporation for National and Community Service. 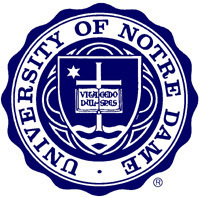 Hundreds of institutions are listed, but Notre Dame is among only 17 to receive special recognition. Rev. John I. Jenkins, C.S.C., president of the University of Notre Dame, received an honorary doctoral degree from Aquinas College in Grand Rapids, Mich., during the school’s commencement exercises on May 7. Father Jenkins also addressed about 500 graduates and their friends and family as the principal speaker at the commencement, which served as the opening event of the Aquinas 125th anniversary celebration. 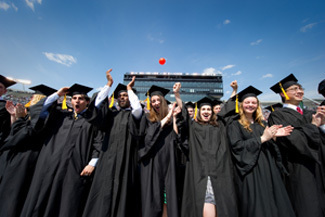 More than 3,100 students will receive degrees May 22 (Sunday) at Notre Dame’s 166th University Commencement Ceremony, which will be held at 9 a.m. in Notre Dame Stadium. U.S. Secretary of Defense Robert M. Gates will be the principal speaker and recipient of an honorary degree. Sister Mary Scullion, R.S.M., and Joan McConnon, co-founders of Project H.O.M.E., an organization devoted to ending homelessness in Philadelphia, will jointly receive the 2011 Laetare Medal, Notre Dame’s highest honor and the most prestigious award given to American Catholics. The following statement from Rev. John I. Jenkins, C.S.C., president of the University of Notre Dame, is in response to the St. Joseph County Prosecutor’s Office dismissing charges against protesters who were arrested for trespassing on Notre Dame’s campus in May 2009. Mary K. Hamann, director of communications for the Mendoza College of Business at the University of Notre Dame, died of natural causes on April 22 while on a visit to Paraguay for her daughter Kate’s wedding. She was 50 years old. Hamann began working at Notre Dame in June 2000 as Mendoza’s manager of administration and operations. She subsequently served as the director of Web content and publications beginning in 2003 before taking the position of director of communications in 2004. 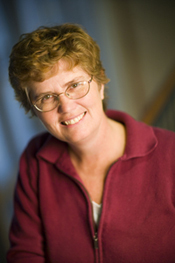 She also was the editor of Notre Dame Business, the Mendoza College alumni magazine, and produced a range of print and online articles and publications. 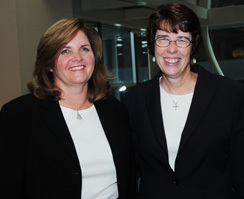 Sister Mary Scullion, R.S.M., and Joan McConnon, co-founders of Project H.O.M.E., an organization devoted to ending homelessness in Philadelphia, will jointly receive the University of Notre Dame’s 2011 Laetare Medal, the oldest and most prestigious honor given to American Catholics, at Notre Dame’s 166th University Commencement ceremony May 22 (Sunday).